I will stay in the camp of "I enjoy my time on the trail without music"...If Thoreau found solace at Waldon Pond and Ed Abbey's adventures in Dessert Solatiare brought him joy. All without being plugged in..then it could be good for me as well. That's fine for you to enjoy the silence of the trail, the problem is when you tell other people what they can and cannot do in their experience of the race. These old guys who push this "no music" rule are bitter old Fascists. Let people listen to their ipods. It's not a safety hazard. There's no documented case of injury related to headphones, it's all hearsay. I beg to differ. It is a safety hazard. I've been behind folks and I've had to repeat numerous times "on your right" only to realize that they cannot hear me. As I pass by these people they are completely unaware of what is happening around them. I've almost taken some falls and vice versa. The worst part is they're usually pissed at me. Yes maybe no injury has actually occurred, but it does increase the risk of it, especially on the single track trails. My solution is to listen to music before and after, sing to myself during races, and enjoy the sounds during a race not isolate myself with a pair of headphones. (By the way I am not old and I'm not Fascist). It absolutely IS a safety hazard. And obnoxious to boot. If you can't run without your "tunes," maybe you should stick to the treadmill. I think that the new rule change is a good compromise. I've often scared people when I run by them because they did not hear me coming or calling out "on your left" or whatever. I figure if they are going to use headphones and block out sounds around them why should I warn them that I am going to go by anyway. I love music, but when I run my intent is to achieve mental silence and be surrounded by nature. In this society we are constantly bombarded by advertisements, why bring them with you when you have a chance to get away from them? I love to run with a headset on. I am glad to hear this. I rather sit on the no-headphones camp, I think it's safer to avoid them especially at night in the woods, although I'm impressed how Tim T and Karl Metzler use them instead of pacers. On another note, I'm glad to see you back on the Grand Prix, Scott. When are you turning 40? You will become the new kid in (the Masters) town! See you at JS, then, and all the best for 2009! 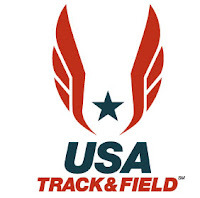 I think the USATF is a joke. Really what do they do for trail/ultrarunners. They sponsor a couple of races and then try to throw their weight around all of the time. Though personally I think it is kinda lame to see people wearing them in 5 and 10k races. I mean come on. But who cares what I think. One of the best sounds of nature is silence, but where I live it is hard to come by. I run in a woods which is next to a somewhat busy road. I can choose to listen to the sounds of cars rumbling by, or music. I choose music. Yeah, it may be a safety hazard, but so is just about anything else we do - driving, biking, eating non-organic foods. Listening to music is not going to increase the risk of injury all that much, so I take my chances. Big news, probably a good thing, although sometimes people you're trying to pass have it up so loud you really have to shout. I never feel I need music even for 50 mile races, but occasionally when a song gets stuck in my head and it plays over and over and over I wish I had my iPod on me. I was the lead biker for a trail race I organize. I was leading the top two runners down a narrow hill where we were about to meet a runner with headphones coming up. The runner with headphones had thier music so loud they couldn't hear me screaming at them. They were also so focused on looking at the ground, and not ahead that they couldn't see me. I had to swerve at the last second to avoid hitting the runner and the top two runners also had to do some fancy footwork. This was after being told to stay on the right side of the trail except to pass (runner was on the left) and it was clearly stated "please, for the safety of yourself and others, no headphones". I think it's sometimes a case of runners just being selfish. If you have to wear music, keep the volume down and be alert! I’m not sure if it’s necessarily the device, but rather the user. Coming across a runner who is checked out is a hazard whether they’re hearing, deaf, plugged-in, or whatever. There are definitely terrains where passing is dangerous and I agree that headphones dramatically increase the risk for injury. Does this warrant outlawing music devices? Or can users learn to run more mindfully and non-users learn to pass users safely? I believe that a friendly hand on a shoulder can help mitigate passing from behind and that sometimes, as the trail is there to share, it’s required, heck it’s inherent that you just need to slow it down and allow a non-aware runner, hiker, dog walker, et cetera cruise along until it’s safe to pass. I agree with Gargamello! I can't run with out my powersongs. Scott- If we have a story for the blog. Where can we send you the information? Great dialogue, you guys! I sure wish there was a way to enforce responsible usage of iPods. But I guess that's the crux of the issue, n'est pas? I usually prefer to carry my tunes in case I need a little boost, but don't use them most of the time. I thought for sure I would never get through the Tahoe Rim Trail 100 without it (since it was a USATF championship event), but it turned out to be an awesome experience just listening to nature as the day progressed. Annie - you can reach me at scottdunlap [at] yahoo.com. Thanks! I like to listen to my songs periodically as well, but I have snipped the wire for one side of the headphones off completely and listen with only one earbud. It hasn't made any difference to my enjoyment of the music, I can still hear folks around me very well and can even carry on decent conversation, and I have "American Idiot" to bomb down the final hill at Woodside to. There are compromises. Perhaps we could lobby the manufacturers to put out single sided sets. By the way Scott, Ican't believe you are going to miss the Wildflowers 50k up here in Red Bluff. What do we have to do to get you Bay area folks to drive up this way for a little differnet terrain? I agree with Anonymous that one headphone in is the best of both worlds. I use the MP3 at a low volume on longer runs, if only to keep work thoughts or the random snippet of song out of my head. With only one bud in, you can still tune in and listen for others at the same time. I really don't get why more people don't do this.